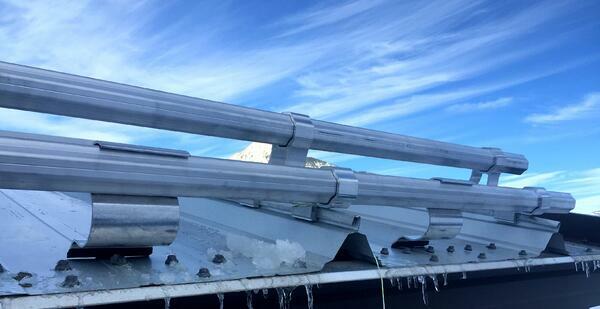 When is it Good to Use a Two-Pipe Snow Guard System? Is a Bigger Snow Guard Better? There is a common perception that “more is better”, such as “two pipes are better than one” and “three are better than two”. Many believe that because a snow bank is very deep, it should have a taller snow guard system—with more cross-members. 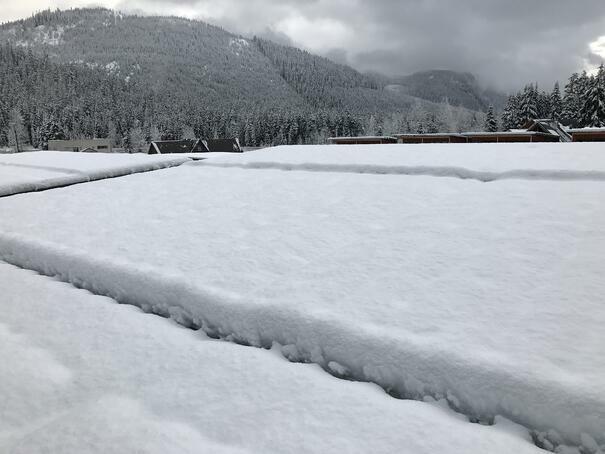 20" Blanket of snow on a metal roof with an X-Gard™ system, in the mountains of Snoqualmie Pass. 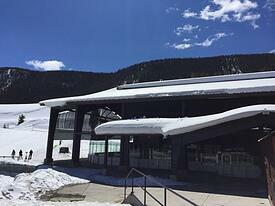 All snow retention systems work by engaging the snow bank at its densest layer, which is immediately adjacent to the roof surface. This layer is compressed by the weight of all the snow above it, thus achieving its higher density, which also increases its compressive, tensile, shear and cohesive strengths. 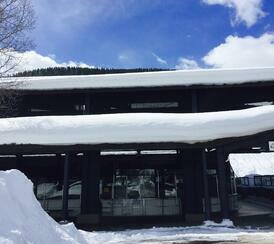 All snow guards rely primarily on the compressive and cohesive strength of that lower layer. We have seen banks of snow 6, 8—even 12 feet (2.5-3.5 meters) in depth restrained by snow guards only a few inches in height, provided the system has sufficient structural capacity and has been properly tested and engineered to resist the vector loads to which it is exposed.